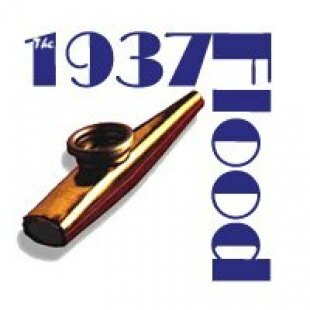 Eighteen years ago this weekend at a New Year's Eve party in Ashland, Ky., The Flood for the first time jammed with Doug Chaffin. Now, for a quite a while, David, Joe and Charles had been looking to add a bass to the ensemble. Joe, who always said "if you don't have a bass, you don't have a band," was nonetheless skeptical about prospects. "We're not going to find a bassman who wants to play the weird stuff we're doing these days," he said, referring to the band's eclectic mix of folk, blues and swing. And so far he had been correct. (For instance, during the previous summer, Joe had brought around one bass player to the rehearsal. "Don't scare him away, boys," Joe had said. "He's a preacher." The session initially went well enough, but later in the evening, when they morphed into some of the rowdier jug band tunes, and could tell by the newcomer's expression that he wouldn't be back. Joe just grinned and shook his head; we never saw that bass player again.) Therefore, by the end of the year, as Joe and Charlie headed to the late Nancy McClellan's year-end bash, they pretty much figured we'd have to remain bass-less. However, at the party, The Flood kicked into some of of the swing tunes we'd lately been playing ("Sunny Side of the Street," "Ain't Misbehavin'," "Star Dust") and suddenly Doug picked up his bass and jumped in. 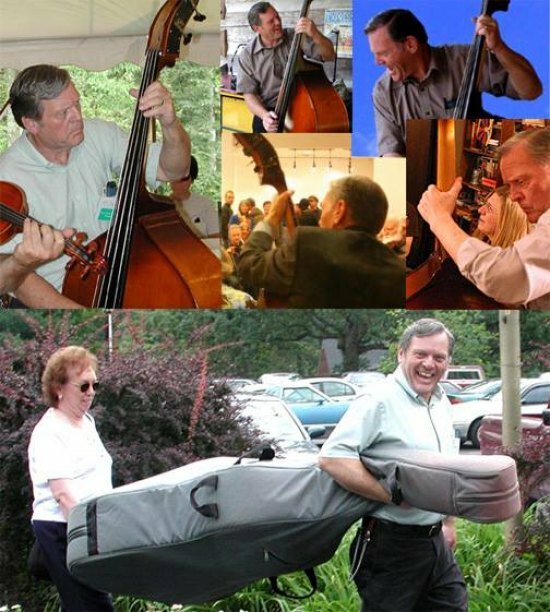 Now, for years, they had been hearing Doug play beautiful, solid bass behind fiddlers like J.P. Fraley, but had no idea he was interested in swing stuff too. 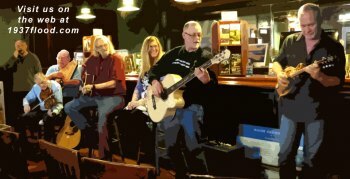 Listening as Doug's sweet bass lines cleaned up all the ragged edges of what they played that night, Joe winked and nodded, and before the night was through, the band begun a none-too-subtle campaign to draw Doug Chaffin into the Family Flood.